OK, so I've been reading up on what is supposedly the actual recipe for The Kernel EIP. As it is a dark beer I thoroughly enjoy, I decided I'd give it a whirl. Below is what I've plugged in to BS. Have I got a decent IBU? I also need to create a new mash profile at 69C. I'm still properly learning about that but my guess is that I'll need to up my grist as my FG wont be as low? FG: 1.014 <-- This was based on 65C mash profile. Need to create a 69C version still. Yeast: WLP013 (Or other dry equivalent as I'm not confident/never attempted using liquid and making a starter). Last edited by xCamel xSlayer on Fri Jan 20, 2017 16:39, edited 1 time in total. Links have not come through. Dennis King wrote: Links have not come through. They're showing up on my screen mate, on desktop and mobile..? I'll type it manually anyway and add it to the original post. Gonna give it a crack. Its what home brew is about I guess, trial and error. Could be great could be awful! xCamel xSlayer wrote: Gonna give it a crack. Its what home brew is about I guess, trial and error. Could be great could be awful! I'd stay away from adding any brewing salts until you have a water report. I certainly wouldn't add any gypsum as people seem to do willy nilly. If anything you could add some calcium chloride to emphasise the malts. Danstar sell a London ale yeast, not sure if they're doing it in home brew sizes yet actually, but it's low attenuating. Your FG depends mostly on your yeast so figure out what you're using and go from there. With 1.059 and 65% attenuation you'll hit around 5.2% - just up the Maris otter and not the other ingredients. robwalker wrote: Danstar sell a London ale yeast, not sure if they're doing it in home brew sizes yet actually, but it's low attenuating. Your FG depends mostly on your yeast so figure out what you're using and go from there. With 1.059 and 65% attenuation you'll hit around 5.2% - just up the Maris otter and not the other ingredients. Thanks Rob. So I don't adjust the quantities of the other malts to keep the percentages the same? 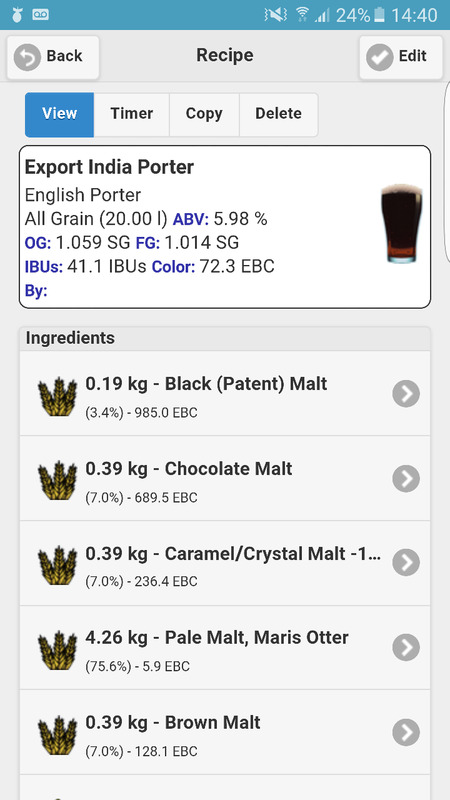 just the base malt? Imo, no. You're brewing the same volume so don't adjust the speciality malts. I think I've had that beer before, was it very dry and sharp? robwalker wrote: Imo, no. You're brewing the same volume so don't adjust the speciality malts. I think I've had that beer before, was it very dry and sharp? Rob are you thinking of the esb yeast? 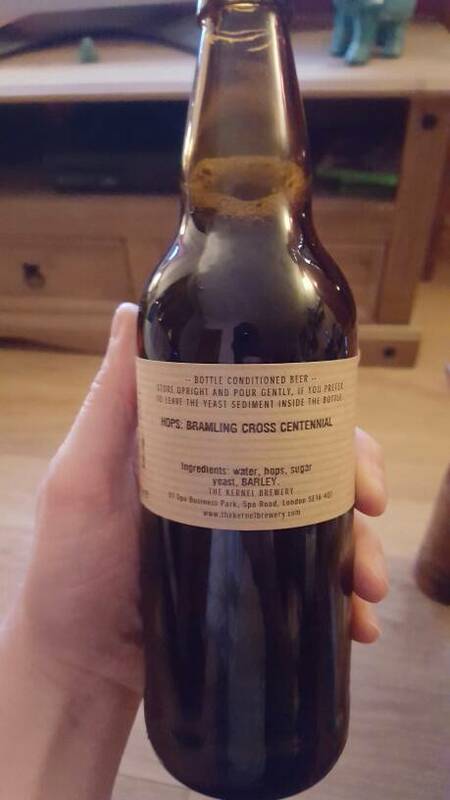 Would Us05 be a decent yeast to pitch? This one doesn't look like your typical hop forward apa. While it will give good results you may be better going with a different yeast...... But I don't know the beer so would hesitate to recommend one! Rolfster wrote: This one doesn't look like your typical hop forward apa. While it will give good results you may be better going with a different yeast...... But I don't know the beer so would hesitate to recommend one! I might just go ahead with the wlp013 that it recommends then. I've just never used liquid yeast or made any form of starter so I'm just nervous to try it I guess! So by complete coincidence, I went out and picked up a bottle of this today to find it actually has Centennial in it. I didn't even know when I was putting the recipe together! Liquid yeasts are good and nothing to worry about. You need some spray malt or some thing to make up a starter. Just be very careful and over the top with sanitation! Now I've had this bottle I'm not sure I want to dive in with the centennial. 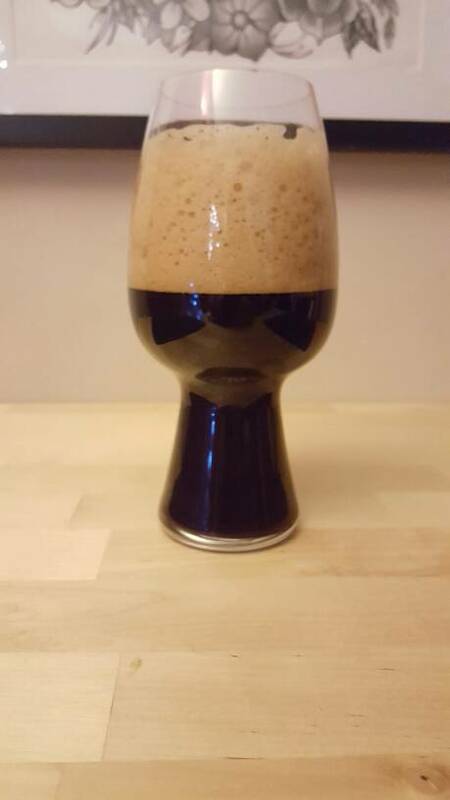 Although I enjoyed it, for me it was too hop heavy compared to the other Stouts/porters I've had and liked. I'm sure their previous versions haven't been that hop forward so maybe it's the dry hop? 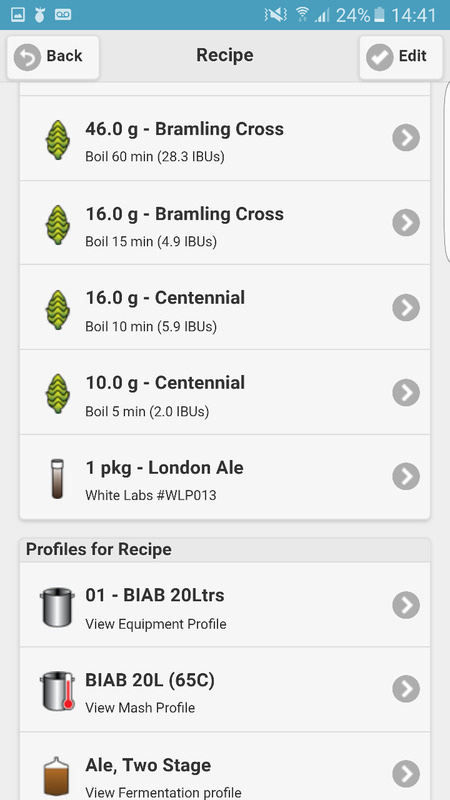 I brewed this before Xmas, I split my brewl into different pots in the last 15 mins of the boil and use different hops and yeasts and added liquor to make different beers. All of them turned out tasty. Historically the export porter was a very happy beer, the kernel have toned it down. Yeah I've heard the same. You're looking at 60%-65% attenuation - great for full bodied low abv beers however 3.5%-4.2% or so. Where is the best place to look for yeast starter help? I don't have the flask or a stir bar, so this will be all manual. Exactly what I was about to recommend - 5L water bottle, then make a hole in the top for an airlock. I ran out of my usual DJs for this purpose on my recent brew and used a 5L spring water bottle - worked absolutely fine. I just shake the bottle when I go in the kitchen - ain't got any stir-bar. A 2L starter @ 1.038 is a good rule of thumb.